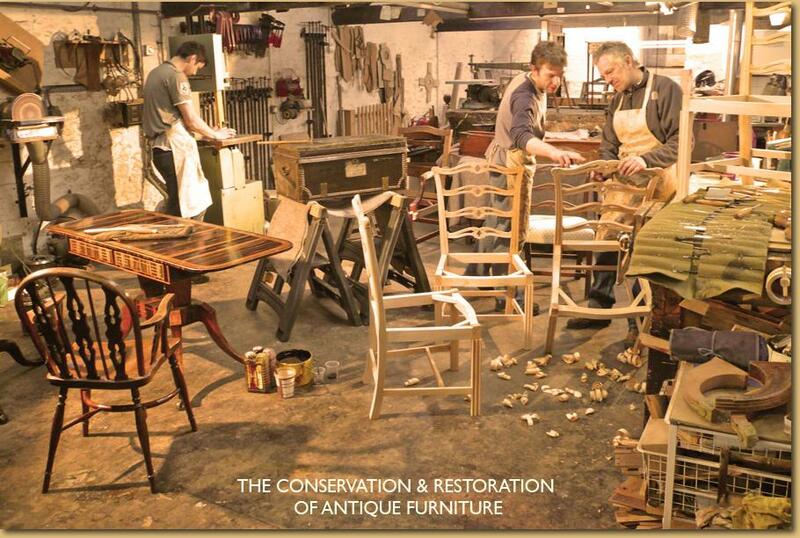 Established in 1980 we are a small team of highly skilled and experienced craftsmen undertaking a great variety of antique furniture conservation, restoration and repair projects including dining chairs, desks, boxes, bureaux, tables, clock cases and cabinets. Passionate about our work, we take great pains to conserve original surfaces and colour using traditional sympathetic materials. We have a wealth of experience in water flood and fire damage. We use timber from our large stock of reclaimed antique furniture which has been damaged beyond economic repair. Over the years we have created and copied many items of furniture including sets of chairs, tables, benches, cabinets and even entire libraries.